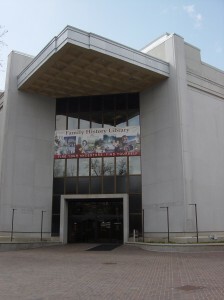 Our meetings usually take place on the third Tuesday of each month beginning at 6:30pm at the Family History Library located at 35 North West Temple Street in downtown Salt Lake City, across from Temple Square (Google Map). Parking is available in the lot behind the Church History Museum for free from 4 – 9pm; the entrance is on North Temple between West Temple and 200 West. We meet in one of the classrooms on the main floor. No meetings in August for FGS Conference or October for the High Holidays.